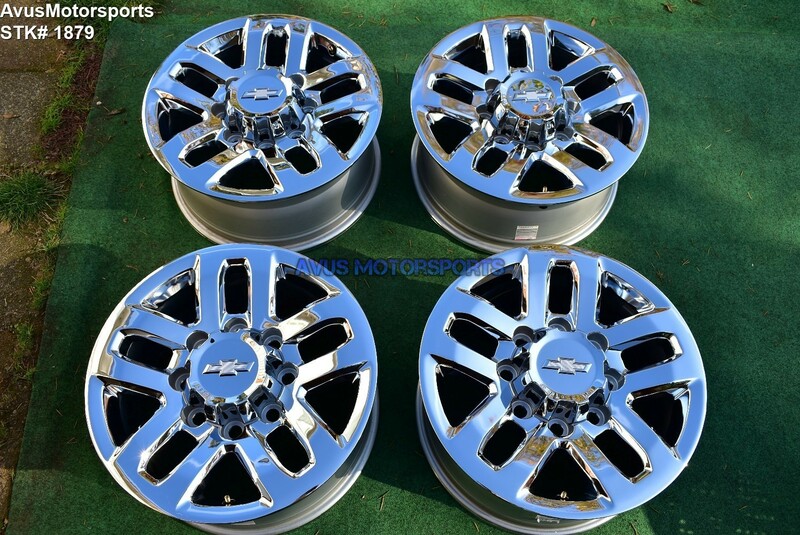 This auction is for a set of (4) 2018 Chevrolet Silverado HD 3500 18" OEM genuine factory chrome wheels NOT REPLICA. These wheels and tires were taken off a brand new 2018 Chevrolet Silverado HD 3500 at around <500 miles, so they are in excellent condition. We try our best to show every obvious blemishes, but there might be other minor light scratches or blemishes. Please review all pics! These wheels has never been remanufactured, repaired or refinished! They are NOT removed from a wrecked vehicle!